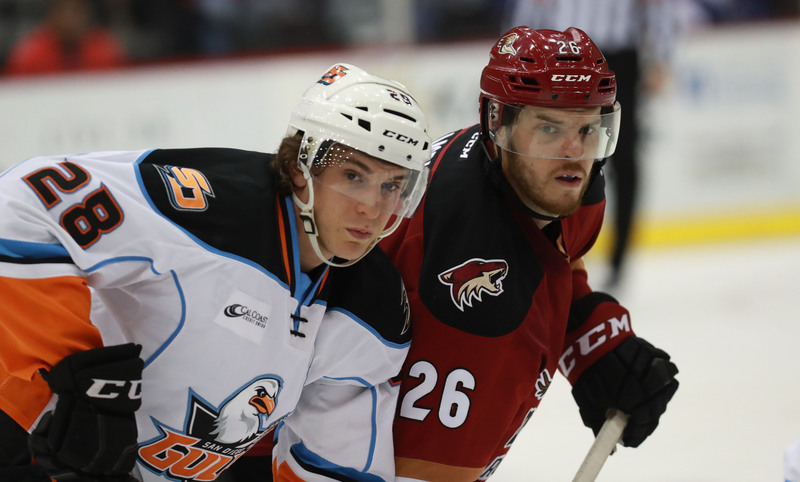 The Roadrunners fell 4-1 to the San Diego Gulls Friday night in their regular season finale on home ice in front of a crowd of 6,022 at Tucson Arena. The club finished the season with a 16-13-3-0 record in front of their home fans. Late in the first period, the Gulls got on the board first via a Nic Kerdiles goal. Ondrej Kase gave San Diego a 2-0 lead just over a minute into the second period. Conor Garland scored the Roadrunners’ only goal of the evening – his fourth of the season, when he banked a tight-angle shot off of San Diego’s Jhonas Enroth and into the back of the net at the 3:03 mark of the middle frame. The Gulls responded with two more goals to map out the game’s eventual 4-1 final score. Goaltender Adin Hill made 37 saves in the loss. The Roadrunners finished the regular season winless against the Gulls on home ice, posting an 0-6-0-0 mark. They went 2-10-0-0 in their 12 meetings against San Diego. 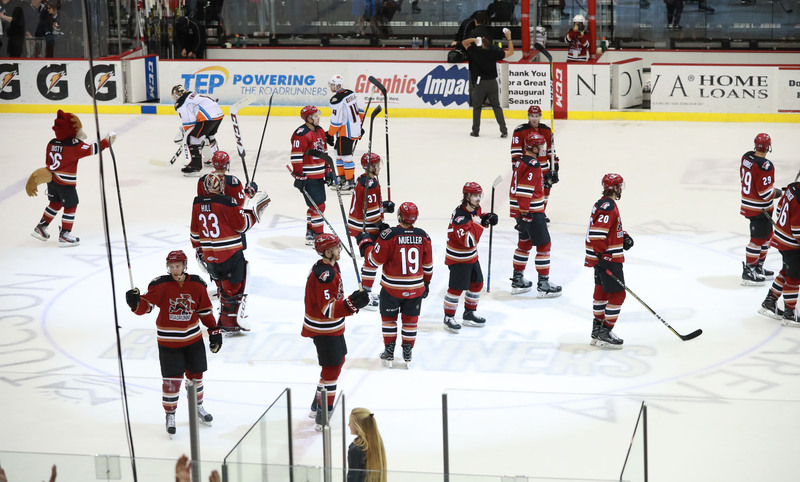 The team will remain in Tucson until venturing out on a five-game road trip, which begins next Friday night when they take on the Manitoba Moose at the MTS Centre.